Yesterday afternoon around 4:30 the Calcasieu Parish Sheriff’s Office responded to a call in reference to a man being shot at while leaving his residence. When detectives spoke with the victim he stated he and his girlfriend, Jamie A. Briggs, 41, Iowa, were at their residence arguing. During the argument the victim stated he attempted to hide a handgun from Briggs, which led to a physical altercation between the two. The victim advised detectives he threw the handgun and fled the residence. The victim then stated as he was leaving the residence in his truck, Briggs shot at him with the handgun, striking the driver’s side door and the driver’s side window, as well as, the windshield. When detectives spoke with Briggs she confirmed she and the victim had been in a physical altercation. She also advised detectives that she fired the gun at the victim. She was arrested and booked into the Calcasieu Correctional Center and charged with attempted 2nd degree murder; illegal discharge of a firearm during a violent crime; and aggravated criminal property damage. 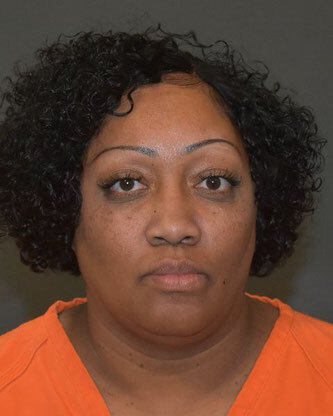 Judge Clayton Davis set her bond at $260,000. The victim suffered minor injuries from the physical altercation and debris from the broken window in the truck.